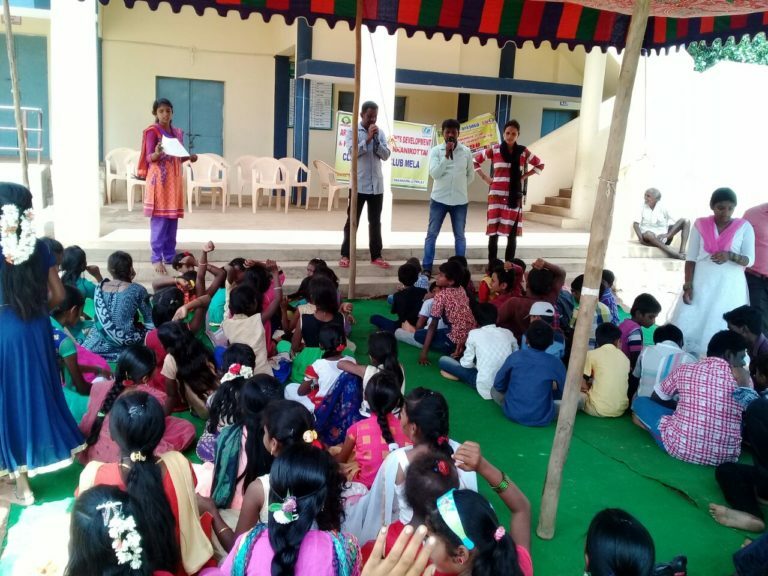 ARCOD implemented a project for Development of Adolescents and Home Based Care for Ante Natal and Post Natal Mothers in selected villages of Thally and Kelamangalam blocks of Krishnagiri District in 2 phases. The proposal was developed by ARCOD and later it was redefined jointly by ARCOD and UNICEF. The 1st phase of the project was implemented during December 2013 to October 2014. ARCOD submitted a request to extend the project for 2 more years with expansion of activities in additional villages. The request was positively considered by UNICEF and sanctioned the 2nd phase of the project for the period from August 2015 to September 2017. The following table shows the No of villages covered under the project in 1st and 2nd phases. Parents’ involvement increased. They realized the need and started giving importance for education of their children. They do not send their children for work for wages. Club Members performance in terms of Hand writing, completing the home work and taking initiatives for new learning improved. The club members’ self confidence level increased. They are able to set their short term and long term goals. Club members were given opportunities to exhibit and sharpen their cultural talents. The drop out of children from schools reduced. The club activities helped the members to complete their class and go to the next grades over the three years. The following table shows the No of club members passed out to the next classes. About 3000 adolescents were exposed to outside world in different places over 3 years. It was evidenced that the No of Adolescent girls attended these trips higher than boys. About 30 trained club mentors got opportunities as full time and part time educators in different organizations. There was no child marriage reported in the working villages during the project period. Five such incidents were stopped through the adolescent clubs and mentors. The people’s attitude towards construction and usage of toilets changed. About 377 individual household toilets have been constructed and being used. The mothers realized the importance of colostrum and exclusive breast feeding and practiced it.